Maria was a fantastic guide to show us around Athens in a single day. 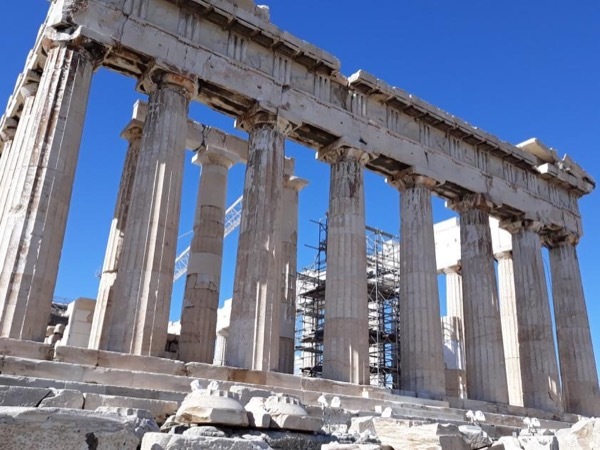 We covered the Temple of Zeus, the Olympic stadium, national gardens, the Plaka, Acropolis, and Acropolis Museum in a single day, with time for lunch and afternoon tea. Maria made it fun for our girls, and was sensitive to their needs in terms of walking distances, water stops, and getting out of the direct sun. We added on the Acropolis Museum to her normal kids tour and were very glad that we did! For an extra 2 hours, it was amazing. TOUR GUIDE RESPONSE: Dear Jeffrey, I am happy to have met your beautiful family. All the best for your future with many happy travels!